128-pin PQFP/LQFP to reduce design & manufacturing cost. 10 Mb/s and 100 Mb/s operations. Supports 10 Mb/s and 100 Mb/s N-way auto-negotiation. Supports 25MHz Crystal/25 M OSC to reduce BOM cost. Compliant to PCI 2.2 Standard and PC99 Standard. 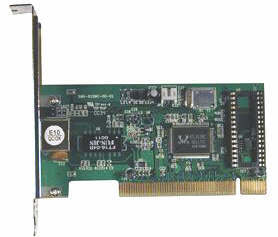 Provides PCI bus master data transfer. Provides PCI memory space or I/O space mapped data transfer. 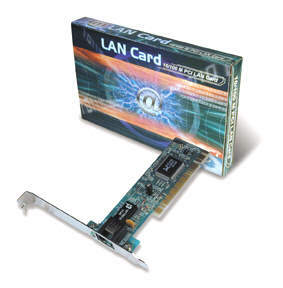 Supports PCI clock 16.75 MHz-40 MHz. R ”Magic Packet” for WOL function. Supports Full Duplex Flow Control (1EEE 802,3x). Supports up to 128K-byte Flash Memory/Boot-BOM interfaces. Supports PCI Clock Run pin. Supports 3 LEDs to indicate traffic, link, speed and collision.